It’s the most wonderful time of the year: cocktail week is back. 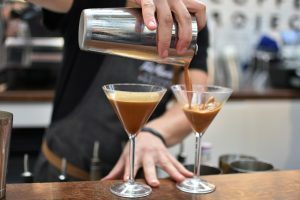 If you’re in London, there’s a whole wealth of fun cocktail events you can attend all week (just like with rum day). But why not try your hand making a few of these on your own, maybe even making them in one of our Supercity kitchens? Here are four to get started on. All of our measurements will make you about two glasses. 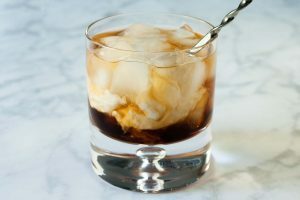 Once the drink of choice at disco nightclubs, Big Lebowski helped make this creamy cocktail popular again. 2. Pour the vodka and liqueur into a shaker. 3. Shake until cold and then pour into a glass. 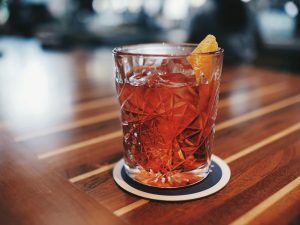 Bringing together two of the best cocktail cultures across the world, this is a negroni with a distinctly Mexican twist. 1. Pour the tequila, vermouth, and Campari into a glass—stir vigorously. 3. Slice orange peel, rub the edge of the glass with it, and drop it in. Chase the last of the summer with this icy drink that calls back to garden parties and beach nights. Ingredients: four shots of vodka, four shots of contreau, six shots of cranberry juice and four shots of orange juice. Three limes. 1. 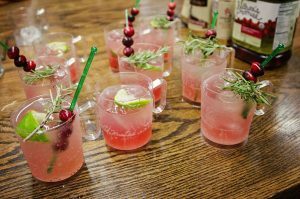 Pour Cointreau and vodka into a jug, then add the cranberry juice and orange juice. 2. Stir the mixture vigorously. Get glass cooler by adding the ice. Cut limes into slices. 3. Pour mixture into pre-cooled glasses, add limes. Maybe London’s favourite cocktail—arguably invented in Soho— this one will really test your cocktail-shaking skills, but it’s so worth it. 2. Pour the vodka, liqueur, and espresso into a shaker. Put ice in both the shaker and the martini glass to chill. 3. Lock the shaker in, and then shake as hard as you can—you want to shake so hard you’ll both cool the liquid down, and also give it the frothy consistency the best ones have. 4. Dump out the martini ice, and then pour the shaker contents through a sieve. Difficulty Level: If you make a good one of these, consider yourself a cocktail master.